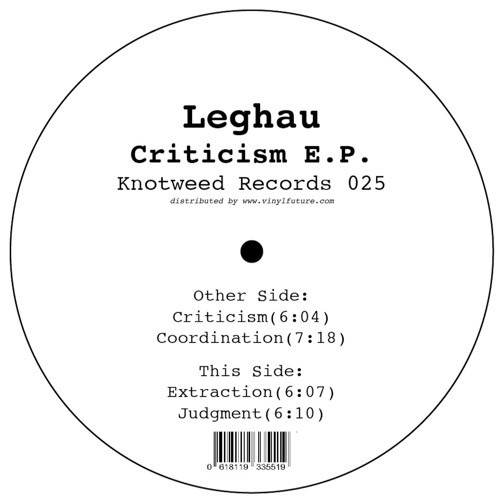 Leghau joins the Knotweed family with an expertly crafted E.P., where less is more. Intricate drum patterns coupled with tribal toms, space-oriented repetitive synths, additional subtle changing background noises, and finally dreamy violins appearing out of nowhere: all these elements mixed together bring a special dream-like feeling to the listener. A record that will make you travel far away in space.